All our professionals at Quaker Ridge Dental maintain the highest levels of accreditation and pursue ongoing education to stay abreast of the latest trends in dentistry. Glen M. Applebaum graduated from Rensselaer Polytechnic Institute in 1978 receiving a Bachelor of Science Degree in Chemistry. He is the recipient of the William Pitt Mason Prize and Class of 1902 Research Prize both awarded by Rensselaer. He received his D.D.S. degree from New York Univeristy College of Dentistry in 1981 and completed a one-year residency program in General Dentistry at New Rochelle Hospital Medical Center in 1982. Dr. Applebaum is a member of the ADA, Dental Society of the State of New York, and Ninth District Dental Society. He serves as both an implant prosthetic speaker for Zimmer Dental and Adjunct Instructor at the Medical University of South Carolina Dental School. 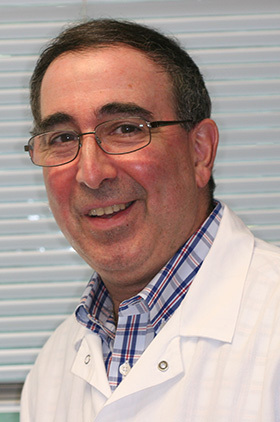 Dr. Applebaum achieved Fellowship status in the International Congress of Oral Implantologist (ICOI) and Mastership status in the Implant Prosthodontic Section (IPS) of the ICOI, and has served as Vice Director of the Membership Committee of the IPS. He also served as prosthetic advisor to the Westchester Implant Study Club from 1995-1997. Dr. Applebaum was the recipient of first place honors in table clinic presentations at the annual IPS meeting in 1999, and he has been published in the Canadian Dental Journal Oral Health, the Journal of Nuclear Medicine and Dental Surgery Products. Dr. Applebaum maintains a practice in general dentistry in New Rochelle, New York, has been involved with implant dentistry for 30 years and has been presenting seminars for restorative dentists since 1995. Dr. Giotopoulos graduated from the School of Dental Medicine at Buffalo University with an emphasis in pediatric dentistry and oral medicine in 1998. He completed a one-year hospital based dental residency at Queens Hospital Center and is currently a Faculty Club member of Spear education. He has continued his education in complex and esthetic dental treatment so as to be able to fully treat all patient needs. His expertise allows him to work with a team of dental specialists to provide the most comprehensive and compassionate care available. He extends this set of skills to the entire family, treating both adults and children alike. His love of dentistry goes beyond his practice in New Rochelle, NY. Since 2010 Dr. Giotopoulos has traveled to Nicaragua and Guatemala regularly and is currently an ambassador for the Open Wide foundation, a charitable dentistry based group providing care to under served communities in Guatemala. Dr. Giotopoulos has continued to be recognized for his dedication to learning having received many awards including the Richard A. Powell Award, American Student Dental Association Award of Excellence, Fonzi Dental Study Club Anthony S. Gugino Humanitarian Award, Pierre Forchaud Scholarship, National Defense Ribbon, several Army commendations, Good Conduct Medal, Non Commissioned Officers Development Ribbon, Primary Leadership Development Course Commandants Leadership Award to name a few. Dr. Jacqueline Nussbaum graduated from Columbia School of Dental Medicine to receive her DDS in 1995. She went on to receive her master's in Oral Biology and Certificate in Periodontology from Columbia in 2000. Dr. Nassbaum is a member of the American Academy of Periodontolgy as well as a member of the North East Society of Periodontology. 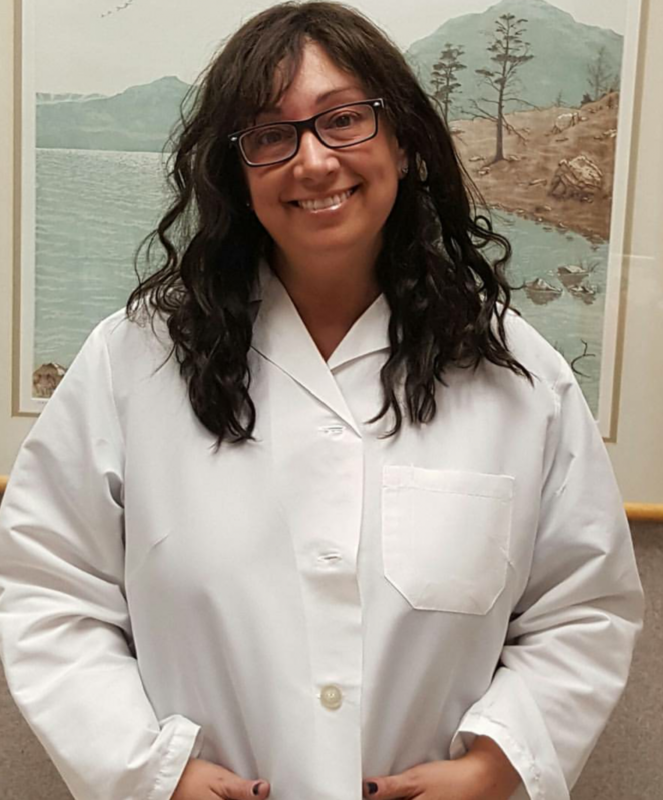 She practices all aspects of Periodontics and takes pride in the care and treatment of her patients' overall health and needs. Dr. Nussbaum lives on Long Island and enjoys spending time with her husband and three children.